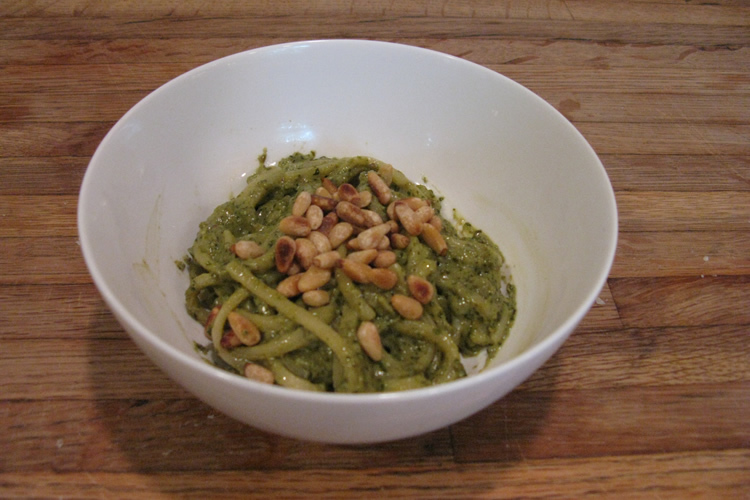 Make pesto with walnuts with our fun and easy walnut pesto recipe. Add it to our baked pesto chicken dinner recipe for a simple dinner recipe. Put basil in food processor and chop for 20 to 30 seconds. Add oil, walnuts, garlic, and parmesan. Chop an additional 30 seconds. Scrape sides with a rubber scraper to mix together unmixed areas. Process for an additional 30 seconds (until smooth paste) adding salt and pepper to taste.